This article is based on a presentation to the Securex 2001 conference, organised by CMP, 630 Chiswick High Road, London W4 5BG. Tel 020 8987 7877. Published by the Builder Group in Security Installer magazine (December 2001). WHAT IS DIGITAL RECORDING? It is the video equivalent of going from vinyl records to CD audio. But why use digital recording anyway? For three reasons: labour, labour and labour. It is all about handling and storage and how much time is involved – if it takes 45 seconds to change a tape, that could add up to a couple of hundred hours per year in some CCTV schemes. What medium does digital recording use for storage? There are a variety of media: hard disk, removable hard disk, RAID (redundant array of inexpensive disks), DVHS, DV (digital video), DAT (digital audio tape), Exabyte, AIT (advanced intelligent tape), CD-ROM or WORM (write once read many), DVD (digital versatile disk) or PD (photo-optic disk). How much can they store? * EXABYTE up to 14GB, stackable to 12TB. * DVD up to 4.7GB. They are not compatible, except you can play CDs on a DVD machine, but not the other way round. Dilemma: When evidence is seized by the police, how much other material do they take? Do they have a right to that other material – does it take a court order? Will the police replace the media they took? Not very likely. How long will a recording last? It depends on the data compression used. A quick calculation for the equivalent of an E180 tape: 50 fields per second for three hours equals 540,000 images. Compress to, say, 20kB per image would mean the disk needed is 10.8GB. Common compression types include JPEG, JPEG 2000 (a superseding version, not compatible with JPEG), MPEG 1 and MPEG 2, wavelet and H261 and H263. Too much compression can ruin the image, but some compression types give fixed quality. Smaller pictures mean smaller files – but a smaller picture also means less detail. CIF (Common Intermediate Format) is only 352 pixels by 288 high. Can I play my recording in court? It is unlikely – though possible, if you take your own equipment – because there is no compatibility … yet. But there is hope for the future in the form of a group called the Digital Forum. It is a myth that predictive compression (MPEG) is not accepted in court. All compression techniques are permissible – unless the judge rules them out. * What does the customer/installer need? * The ability to export to something like CD. How does the customer know which to buy? * What do you need from the recordings? * How long will you keep them? The recommendation is 31 days. and VCR? – Don’t throw them out. * How will you make evidential copies? A final warning: the technology may be out of date in six to nine months – but think of the benefits! and is now reproduced with their kind permission. An interesting title perhaps, but it is often what we expect of our poor coaxial cable. In modern town centres we have now far exceeded the maximum cable run for realistic cables and as a result we have graduated to the "black art" of optical fibres for our transmission in town for links of 200m to over 15km. The telecommunications providers charge what appear to be high rates, but justify it by saying, "we are losing telephony revenue by giving fibres to CCTV". This causes some Authorities to explore alternative means of transmission of the signals to the control room. Microwave, radio, GSM, PSTN, ISDN, LASER, Ethernet, ATM Internet and HDSL are all media that can be used for the transmission of CCTV pictures. Not all of these will give us full frame rate of video (50 fields per second) and therefore need to be chosen for the appropriate application. There are also pro's and con's to each, which I will try to briefly cover. Probably the most commonly used alternative medium is microwave. The equipment is well proven and generally reliable. In some circumstances, such as Watford, town centre TV systems are all transmitted on microwave to the control room. In this case on important factor is frequency management. With many signals coming into the same receiving point there is the potential for cross talk between signals. It is therefore important for the individual links to be chosen for the frequency and the directions of transmission to minimise the possibility of interference. This is best achieved by the Tenderers for any particular system, involving the microwave manufacturer at the survey stage and getting a transmission plan drawn up. This must include the possible future expansion of the cameras "we cant afford this year but will add next year (or whenever)." If the potential expansion is not included in the original plan, then it is likely that when the expansion is carried out that it may not be possible to integrate the new links without complications of interference with existing signals. A problem often overlooked when microwave is used over tidal water is reflected signal paths. Water reflects microwave, therefore a link will often have both a direct signal and a reflected signal. In a static situation this is not a problem, but where the tide rises and falls the reflected path changes and causes interference with the received signal. Another medium becoming popular is radio, because of the proliferation of mobile systems. This is at the high UHF or low microwave bands of 1394MHz or 2.4 and 2.8GHz, of which a number of manufacturers are Radio Communications Agency (RCA) licence exempt, within certain criteria of range or power limiting. Many of the issues highlighted above for microwave also apply to radio transmissions. This can include items such as reflected signal path, which will not be tidal but vehicle movement, and also line of sight transmission, but we have the added complication that the link may only operate over 20 metres in a town centre because the antenna is at low level. "High gain antenna available", but if it is installed on the transmitter, does this now exceed the Effective Radiated Power (ERP) and contravene the exemption of the licence? The fanfare that accompanied the start of use of GSM as a transmission medium has come to little at this stage. The maximum data rates at the moment over GSM are limited to 19.2k bits per second, ie slower than a dial up telephone link on PSTN. Hold your breath until the next generation of GSM, which will, supposedly, have data transmission rates of up to 2Mbits per second. This will give picture update rates of 100 times that of the current links (15 times as fast as ISDN 2e). When this does happen, watch what happens to the possibly more costly fibre link prices, we may have systems that dial up each camera to access the pictures rather than having 32 continuous images all the time in the control room. There are rumours of further developments in telecommunications that will possibly supercede GSM and give even better results. Or in American speak POTS (Plain Old Telephone System). The telephone system we all know and love, that with the right equipment and a couple of modems, we can send signals to the other end of the country, or even the world, for the cost of a phone call. The disadvantage is that the data pipe this gives us is not very big, just 38.4kbps effectively (56kbps modems only work at 56kbps in one direction). This means that with the data compression we can expect picture updates every seven to 20 seconds depending upon the resolution. In simple terms this means the higher the resolution, the slower the update rate. The newer digital telephone system that enables much faster data transmission rates of 128kbps dial-up (192kbps leased line), that is 3 times the speed. Thus the update rate is faster......not always... because when signals are sent as PSTN we sometimes only send the changes, but with many of the ISDN systems the whole picture is sent every time, which means more data and more data takes longer. The ISDN system is not in place all over the world, but it is "e" European harmonised, so it can be used through Europe (where installed) without compatibility problems. The USA is starting to install ISDN, but most of their digital telephony is on Switch 56, which is not compatible with ISDN. Not the Star Wars weapon, but a low power, often Infra-Red, light source onto which the video signal is modulated. No licence is required and , according to the spec sheets, will work up to 1km. Sounds good doesn't it. However beware there are some considerations to bear in mind. We have a beam diameter of about 2 milli-radians (or 0.1 degrees) which, in practical terms, is a beam diameter of 2m at a range of 1km. Because we are using light, any physical obstruction may cause the beam to be broken and the signal to be lost, so birds, fog, heavy rain and vehicles can all cause our signal to disappear. The bracketry that is used to mount the equipment is critical as well. Using aluminium brackets is not recommended, the preference is steel. This is due to the relative coefficients of expansion, aluminium expands faster than steel and therefore the direct sunlight falling on one side of the bracket causes the expansion of one side of the bracket, with respect to the other. This results in the bracket twisting and the beam is twisted off target and the signal is lost. Whilst steel brackets will have a similar effect, the effect is much smaller and therefore more likely to stay on target. Digital data networks are becoming the norm in many companies for routine data transfer and computer file sharing. If we convert the video signal to a digital data stream, it is possible to use the data network to convey the signal around a building. The problem with this form of transmission is the amount of data required to be transmitted. The majority of existing data networks are such as the 10baseT or 100baseT (10Mbps or 100Mbps). They are used for the transmission of day to day data used in a company and thus there is often some resistance to putting "bl.....y security pictures on my network" from IT managers. The IT manager has to make sure that the software for viewing and control is only put on the relevant PCs in the company, which again can differ from the priorities of the security manager. Having identified the right people to have access to the images and the sorted out the politics, there is then the practical problem of how many cameras you can have on your network . Images at or near full frame rate will require data streams of around 1.5Mbps for compressed data using ITU H.261 video conferencing techniques and with CIF (small) image sizes. Therefore you could have up to 6 cameras on a 10baseT system before there would be too much data flying around. Alternatively other manufacturers will give you full screen video at 15fields per sec at a data rate of 6Mbps using Wavelet compression, which is only 1 camera on the 10baseT network. But don't forget this is just the CCTV on the network. "What about my precious data" The Network just clogged and nobody could work. Beware when you look at these systems. Remember that you have to keep both systems working therefore check the networks from all aspects. Not the hole in the wall where we get our the banks money, but Asynchronous Transfer Mode. A data network that really "cooks with gas", a maximum rate of 2.4Gbps and at that rate it usually has to be provided on an optical fibre backbone. There are a number of manufacturers providing ATM equipment for CCTV such as Baxall & Plettac etc who provide cameras that will either connect directly to the digital network or with their own interface equipment. These are now what can be truly called digital cameras. The signal coming out of the RJ45 connector (or whichever they use) is a stream of binary 1s and 0s that cannot be connected to a standard monitor. Because of the cost of installing the structured cabling and backbones required for such high speed data networks, it is not yet, in my opinion an economic solution to install fresh for CCTV. However, if you have an existing ATM network, then the option of CCTV over this transmission medium is viable. This is a new alternative from BT to the well known and loved? RS1000 fibre system they have been providing for a number of years. For long distance transmission the RS1000 has been very expensive. BT have developed RS3000 (HDSL) in parallel with the ADSL system, for use in home and business for "always on" connections to the Internet. The system is provided as a service, at the moment, and you provide a composite video signal at one end and get the composite video at the other end. Unlike ADSL the HDSL is capable of transmission at the same rate both to and from the exchange. It is a point to point link that is cabled on copper to the exchange, so you cannot be further than 3km, along the cable route, from the exchange. The system uses BTs own CODEC and can take one, two or five cameras that share the transmission "pipe". The "pipe" for this service is a 2Mbps shared between the number of cameras the link provides. Because of the nature of the CODECs used it can give a very good update rate for control of pan and tilt cameras. I am only going to mention that IP addressable cameras are available, because things are moving so quickly that they will be out of date before I finish writing this statement. However, there is much specmanship regarding the performance of the cameras. Very high compression rates and very small images (QCIF) are just two of the ways of overcoming some of the problems with the World Wide Wait. More ominously, if a camera has an IP address and is connected to the Internet then there is a possibility that the camera and receiving computer could be found and the security compromised by your security pictures being watched by those who are not authorised. However watch this space. ADSL - Asymmetric Digital Subscriber Line, asymmetric because it gives downstream (from service provider to you) rates of 512kbps and upstream rates of 256kbps. An always one connection to the Internet, also used for Video on Demand (Home Choice) and Astreaming video. Provided by telecommunications companies such as NTL and BT. ATM - Asynchronous Transfer Mode A data network that breaks the data into packets 48 Byte packets and sends them with routing information (5 Bytes). CIF - Common Intermediate Format. A video format often used in video conferencing systems that easily supports both NTSC and PAL signals. CIF is part of the ITU H.261videoconferencing standard. It specifies a data rate of up to 30 frames per second (fps), with each frame being a size of 352 pixels wide by 288 pixels high. CODEC - Coder Decoder. A piece of video transmission equipment that converts the signals from analogue to digital and uses advanced data compression techniques including Conditional Refresh. Refresh - sending the data that relates to the changes. In other words only the movement is transmitted (after the original whole picture is first sent). Data Rates - Data rates in serial transmission, are always expressed as bits per second not Bytes per second so 2Mbps is 2 mega bits per second, not 2 mega Bytes per second. GSM - Global System for Mobile Communication, the current mobile telephone network system. HDSL - High-bitrate Digital Subscriber Line. The big brother of ADSL. Gives a point to point transmission rate of 2Mbps but is provided as video in to video out. IP address - Internet Protocol address. A series of numbers that uniquely identifies your location such as 164.54.96.215, which is the web page of the Advanced Photon Source, but could equally be a piece of equipment. LASER - Light Amplification by the Stimulated Emission of Radiation. A Laser produces light that is one wavelength (monochromatic), in phase (coherent) and an almost parallel beam. PSTN - Public Switched Telephone Network. The standard dial up analogue telephone network that most people have at home. QCIF - Quarter Common Intermediate Format. A video conferencing format that specifies data rates of up to 30 frames per second (fps), with each frame being only 176 pixels wide by 144 pixels high. This is one fourth the resolution of full CIF. QCIF support is required by the ITU H.261 video conferencing standard. Because the image size is one quarter the size of CIF it transfers one fourth the amount of data and is suitable for video conferencing systems that use telephone lines. Closed Circuit television can cut crime by up to 30%. However, planning and running a system is far from straight forward. CCTV expert Jon Laws takes a candid look at the issues. Closed Circuit Television (CCTV) can be a powerful deterrent against crime, and a useful tool for catching offenders. Whether they are used inside or outside, CCTV cameras have a good record in helping to protect property and staff. Whether your business is situated in a business park or a town centre, external security can be a problem. However, criminal damage, graffiti and theft from parked vehicles have all been successfully prosecuted and deterred by CCTV systems. In fact, in some areas of the country, Local Authorities are reporting a staggering 85% reduction in vehicle crime - which may in part be due to the spread of external CCTV. Those who invite the public onto their premises can also use CCTV to improve their internal security. CCTV can help guard against theft of goods by the public and staff. It can also help protect your staff. This is particularly important as the Health and Safety at Work Act requires all employers to provide a safe place of work. CCTV can help with this requirement by deterring violence in the workplace. Installing internal CCTV can also deter burglary out of hours. If a system is properly monitored it will help in any prosecution. Despite an urban myth that "digitally recorded evidence is not acceptable in court", digital evidence has always been allowed under Section 69(1) of the Police and Criminal Evidence Act 1984 (PACE). There are some provisos regarding the correct operation of equipment and handling of data. This position has recently been upheld by a House of Lords committee. If you are trying to assess whether or not you are at risk from particular types of crime and could benefit from a CCTV system, you may wish to talk to your local constabulary. Police Crime Prevention/Reduction officers are normally a good source of advice on the security situation in your area. Sadly, in most businesses it is almost impossible to measure the financial benefits of installing a CCTV system. After all, how do you measure the cost of a crime which was not committed? Unless there is a history of regular crime against the property, it is very difficult to quantify the reduction. However, it is possible to ascertain the level of shrinkage both before and after the installation of CCTV, which can help give a measure of improvement. It is even possible that the crime rate could apparently rise after you fit CCTV. (This is a particularly common phenomenon in town centres.) It is normally because the crime is now actually being detected and registered. CCTV systems vary in price from £500 for one camera and one monitor (without recording) which may be suitable for a corner shop to town centre systems which can cost around £18,000 per camera. It is even possible to pay as much as £80,000 per camera for a high-end motorway system. Fortunately, economies of scale can bring the price per camera down. For example, a system of four medium resolution colour PTZ (pan, tilt and zoom) cameras on the same industrial or retail building (which involve no civil works such as trenching to install) would cost about £3,000 per camera position (or £12,000 in total). This would include such things as video switching and control, recording, display and installation. However, it would not include a console. There are also other costs which you may have to incur. For example, you will have to make the area in which the video recorder is kept secure - or you could risk theft of the taped evidence as well as your goods. Unfortunately, senior management tend to view CCTV as a loss-making area, rather than one that helps prevent loss. But CCTV can actually be a profit-maker. It may be possible for a larger business with a secure area to create a monitoring centre. This could remotely monitor systems for other local CCTV users out of hours. Remote cameras can be connected to a monitoring centre by normal dial up telephone lines (PSTN), or digital lines (ISDN). Monitoring initiatives of this type can be co-ordinated by local bodies such as the Chamber of Commerce. In addition, independent security consultants can also offer advice to help identify requirements before investment is made in such an initiative. The number of cameras you will need will depend not only on the size and layout of the area to be monitored, but also on the type of camera being used. The area a camera can cover is affected by its rotating and zoom capabilities. Some cameras allow a number of pre-set positions to be programmed in, which are followed either in sequence or randomly. This makes monitoring easier and may make it appear that the camera is actually being manned. However it is worth noting that, as the direction in which the lens is pointing in a PTZ (pan, tilt and zoom) camera can be obvious, particular care needs to be taken with the housing unit. In such a case it is a good idea to opt for a housing unit which does not show the viewing area, or gives the appearance that it contains several units. Some companies opt for a dummy camera rather than a fully functioning one. However, this cheap option is simply not worth considering. Most criminals are fully aware of all the different types of dummy camera on the market. The usual clue is the little red light at the front to show it is on. Almost all real cameras have any power indicators at the rear of the camera so they do not interfere with the picture. Dummy cameras can also pose additional problems. If you fit dummy cameras and a sign announcing "you are being monitored by CCTV", you may leave yourself open to prosecution. For example, if a customer is mugged on your premises, they may ask for the tapes covering the incident. It is then possible that your sign could become misleading advertising. You could even be taken to Court if the customer claimed they only came into your shop because there was CCTV and thought they would be safe. Many CCTV systems in small to medium businesses are monitored during the day by local staff. However, at night there is often no monitoring due to lack of resources. This could create problems as potential offenders would be just recorded, without a possible response until after the event. If you wish to install a CCTV system you will need planning permission, under the Town and Country Planning Act 1990 or Town Country Planning (Scotland) Act 1990 regulations. There are a few exemptions which apply where the installation is jointly-owned and carried out with the Local Authority. Applications are tested by the Local Authority using the subjective test - "does it materially affect the appearance of the building?". If it does not, the application will probably be granted. However, there may be regional differences in the way the test is applied. The less obtrusive the camera, the more likely it is that permission will be granted. This may be why many businesses have installed dome cameras, which blend into the surroundings much more easily than conventional pan, tilt & zoom cameras. However, if you are considering a dome camera it is also important to note that they are difficult to maintain. For example, it is difficult keep the outside clean - after all, it is nearly impossible to fit a 'windscreen wiper' onto a glass dome. If you want to install CCTV onto a building in a conservation area, you will have to look far more closely at the effect on the building's appearance. There is also likely to be more red tape. If a building has a Grade 1, Grade 2 or 2* listing you will have to obtain Listed Building Consent before you may install CCTV internally or externally. In such a case, it is a good idea to carry out a visual survey of the surrounding areas to familiarise yourself with the way bracketry and cameras in other CCTV installations have been designed to blend in to the surroundings. This can also help to highlight precedent if necessary. There are also cases where planning permission for new developments, particularly where a liquor licence is required or there are likely to be high concentrations of people, is made conditional on the company funding the installation of a CCTV camera to link into an existing town centre scheme. These type of requirements tend to vary with the severity of a region's alcohol abuse problems and the coverage of the premises by existing town centre CCTV. Most CCTV systems in public areas now need to be registered with the Data Protection Registrar. The Data Protection Act 1998 came into force on the 1 March 2000 and includes the collection, storage and handling of personal data about living individuals. This includes privately-owned shopping centres and malls, because there is an open invitation to the public to enter the premises, so they are classed as public places. CCTV system controllers must allow the 'Data Subjects' (which are the videotaped public) to check the accuracy of the information held. This basically means the subject can view the material. The Data Subject also has a right to a copy of the information (a copy videotape) but they do not have a right to see personal data relating to any other Data Subject. This implies that the faces of any other Data Subjects in the scene may need to be blocked out. It also means Data Subjects should not be allowed to visit the control room and see pictures being recorded. However, after receiving the application from the Data Subject, the normal processing of data does not have to stop. Covert recording of employees by an employer is also limited by the Data Protection Act. Data can now only be collected to solve specific problems like fraud, theft or bullying. There is a possibility that a Data Subject could start civil proceedings against the owner of a CCTV system if material collected by the system is made available to the media and is used. This is because in such cases the data may be being used for purposes other than described under the Data Protection registration. So how do you choose a supplier and are there any standards or regulations they should adhere to? The bad news is that there is no mandatory regulation of the CCTV industry. However, many systems integration companies are voluntary members of industry inspectorates such as NACOSS (National Approval Council for Security Systems), BSIA (British Security Industries Association) and SSAIB (Security Systems and Alarm Inspection Board). Members must comply with a code of practice (CoP) for CCTV systems installation. The codes differ from body to body but all set a minimum quality standard, which is monitored as part of an on-going audit of member companies. Violations must be corrected within a specified period. This gives end-users added confidence that a system bought from a member company will be of an acceptable standard. Users can also take complaints to the relevant inspectorate, so they do not have to go to the expense of seeking legal advice. There are a large number of companies with good CCTV skills. However, when looking at a company it can help to start by asking whether it has experience in your particular industry. It is also useful to ask for references from past clients. You should also check whether the CCTV company provides on-going training to their installation and maintenance staff. You should also check whether the company is a member of one of the accepted industry associations such as NACOSS, BSIA, SSAIB or ECA Security. It is also a good idea to find out if the company has a quality management system (such BS EN ISO 9000, formerly BS 5750). The British and European Standard for CCTV, BS EN 50132, is still being formulated. However, the first and most useful part for end-users has been issued and includes the Operational Requirement description and guidance: 'BS EN 50132-7 Alarm Systems - CCTV surveillance systems for use in security applications, Part 7 Application guidelines'. This specification includes details of the Rotakin, a 1.6m tall roughly man-shaped standard test target. The only other part issued is part 2-1 which details requirements for black and white cameras. These specifications are for manufacturers rather than end-users. However, purchasers should note that manufacturers and systems installations companies are not legally required to comply with a British Standard unless it is specified in the Contract. Installation companies are not approved to this standard. Therefore purchasers should be wary of marketing literature or salespeople implying otherwise. There are many very capable companies who will design, supply and install CCTV systems. Many companies will have a preferred solution and will keep this equipment in stock. This can be an advantage as it means they can respond more quickly to a request. However, it is possible the preferred solution will not be the most suitable one for your needs. It is important to look at all the alternatives before making your decision. One way of doing this is to employ an independent security consultant who specialises in CCTV. A consultant can carry out a full risk assessment. In some cases, a CCTV system may not be the best solution for your company at all. For example, it may be that a good security fence rather than a CCTV system is your best line of defence. After all a fence does not need to be monitored to be effective but a CCTV system usually does. One of the first steps in purchasing a CCTV system is to establish the Operational Requirement (OR). This is the system definition agreement which forms the basis for the detailed design. It should be agreed between the client and the installer and will help avoid disputes after installation. For example, issues such as whether the system can be used to read registration numbers may need to be addressed in the OR. Users are normally asked to define issues such as the purpose for each camera, the image size and whether cameras are required for detection, recognition or identification within the Operational Requirement. Whether the material will be suitable for Court evidence is also an issue which may be need to be included. ORs also tend to define a standard target which will enable objective testing of the final system to be carried out. This will be required to confirm all the specified criteria have been met. There are a number of documents which will provide help with drawing up a good OR. These include the Police Scientific Development Branch's CCTV Operational Requirements Manual Publication No 17/94 and BS EN 50132-7. Alternatively, a security consultant can also help create an OR. You may find that CCTV equipment manufacturers try to sell you additional features and functions. Try to stick to the requirements you identified in the OR to avoid being sold something you do not need. For example, some companies sell frame integration for low-light use but it is unlikely you will need this feature. In addition, while presets, which enable PTZ cameras to be automatically positioned, are useful, few users need more than eight presets per camera. However, there are some features which you may wish to think about. If your system will look into public areas you may wish to define privacy zones into which the camera cannot be moved. In addition, where your CCTV system is integrated to another system, such as alarms, a Graphical User Interface (GUI) can also be a very useful feature. If you have such a system and the alarm goes off, it may be possible to show a layout of the alarmed area, select the correct camera and move it to a preset location. You may also be able to display specific instructions for the security guard. It is possible to opt for digital CCTV. However, unless you have a data system such as an Asynchronous Transfer Mode (ATM) or a Local Area Network (LAN) with a very high data transfer rate (>100Mbps), it will not be economical to install digital CCTV. If you are being offered digital equipment, it is possible all may not be as it seems. Some cameras are called digital but are generally not ATM or true digital cameras (machine vision). These cameras normally come with Digital Signal Processing (DSP) which means they have some extra features but can be used with a normal CCTV system. The current cost of digital recording is much higher than the cost of using analogue tapes. In addition, quality of digital recording quality tends not to be quite as good as an analogue recording on its first day with a brand new tape. However, digital quality is constant and replay is very good with noiseless freeze frame. Although the on-going cost of renting or leasing is normally higher than capital or lease purchase, these methods usually include fully comprehensive maintenance within the contract terms. However, it is possible to be locked into contracts for up to seven years, which may cause problems. CCTV technology changes very rapidly, so it is possible a system could be out of date in as little as three to five years. It is generally accepted that the capital purchase is the best route, with the value written off over four years but with a life of up to 10 years if properly maintained. On-going costs include maintenance, monitoring staff and consumables. The highest cost will probably be monitoring staff. For example, a dedicated control room merely undertaking CCTV monitoring would need a staff of between five and eight people for a three-shift system. In addition, cover for absence sickness and annual leave could also be required. This could cost up to £60,000 annually. The average operator can efficiently monitor up to 32 images comprising eight quad (four pictures per screen) monitors, if they know the area they are monitoring and concentrate on areas which are more likely to have trouble. Some companies run their CCTV monitoring on 12-hour shifts. However, this can greatly reduce the efficiency of your monitoring staff. Other companies also give monitoring staff other secondary tasks. This can introduce variety and help improve efficiency. It is important to note that both the system manager and operating staff will need formal training, which can be provided by specialist training centres such as Tavcom Training. Comprehensive maintenance cover could cost about 15% to 20% of the equipment's initial cost each year. If you do not have a fully comprehensive contract, you will be subject to call-out charges or the cost of replacement equipment if things go wrong. Most contracts do not cover vandalism and misuse. Similarly, cost of consumables such as lamps for Infra-red illuminators and video recorder heads are often excluded. Manufacturers recommend replacement of video heads every 10,000 hours but it is a good idea to replace them once a year (or after 8,760 hours) if your recorder operates 24 hours a day, seven days a week. It is also a good idea to note the average life of the lamps so preventative maintenance can take place to minimise downtime. At present, there is no compatibility of recording media between manufacturers. This is even the case where the same type of recording medium, e.g. Digital Audio tape (DAT), Digital Versatile Disc (DVD) or Digital VHS tape (D-VHS tape) is used. This can lead to the Courts, amongst others, having problems with the exchange of evidence. An industry group, the Digital Forum, is trying to establish standards in digital recording file exchange formats to avoid these compatibility problems. Information on the CCTV market is available from the following sources. A selection of CCTV installation companies operating in the UK have been included here. from the various industry bodies listed above. only with the simple CCD chips of approximately 10 years ago. What is a CCD Chip? is passed from bucket to bucket through the device. (h) have an unlimited lifetime. but used manual iris lenses. CCD chips has improved markedly since their introduction. then processed during the next one-fiftieth of a second. enables better processing to be carried out, although light leaks onto the shift registers. down the screen, known as transfer smear. transfer smear, because of careful profiling in the design of the chip. by the photodiodes to be dealt with in two different ways. handling, better than 20-40 times that of the conventional hyper HAD. processed line by line, in the manner of the interline transfer device. possible to obtain the appropriate chips. (g) data, as defined by the Data Protection Registrar. resultant picture bounce of unsynchronised cameras. blue and green = white). darker parts of the picture to be seen. and compensates by adjusting the colours to achieve this white level. with time or as external lighting changes. potential problem when evidential material is being collected. them to within the camera, thus allowing the purchase of cheaper, lighter lenses. average over the whole picture. produces the effect of a visible pulsing of the lighting. be considered as an alarm device. people and objects to be silhouetted. used with electronic iris and field integration. longer lengths of coaxial cable. to memorise the multitude of settings required for the operation of the camera. and can aid where infra-red lighting is used, causing a change in focus. even slow motions that can be seen when using long integration periods. visibility where the levels of contrast are low. code number is entered to prove ownership. documented carefully for each camera within the system. manufacturers give independent views. Who have the marketing strategists targeted? within a busy control room environment. modification can be carried out, but puts a premium on to the price of the control system. the data rate reduces to approximately eight Mega bits per second. transmission and storage. Will it be MPEG, JPEG, wavelet or even fractal compression? is rather limited as well — only 4.5m! cameras are digital cameras, but all DSP cameras still have an analogue video output. compensation and the aspects of motion detection that some manufacturers include. actually improve the pictures further. Act 1998, all personal data must be fairly obtained. starlight (0.0001 lux) and they cost less than £10,000. industrial timelapse VCR will not be able to record this form of signal. of the system to be as effective as possible. written and introduced, which has created its own set of problems. interested parties the Local Authority planning department and English Heritage. previously required (column, transmission cabinet and Electricity board pillar). There has also been the recent development of the dual function camera column. existing lighting fixtures can be applied. minimum because there are no “extras” and no hidden costs due to delays. exposed nuts have been undone. (ARC). There is, as yet, no standard for the design of the CCTV Control Room. by the sometimes over stressed CCTV operator. have sight of personal data being collected relating to other data subjects ie. witness to an incident if they were to see it during their visit to the control room. 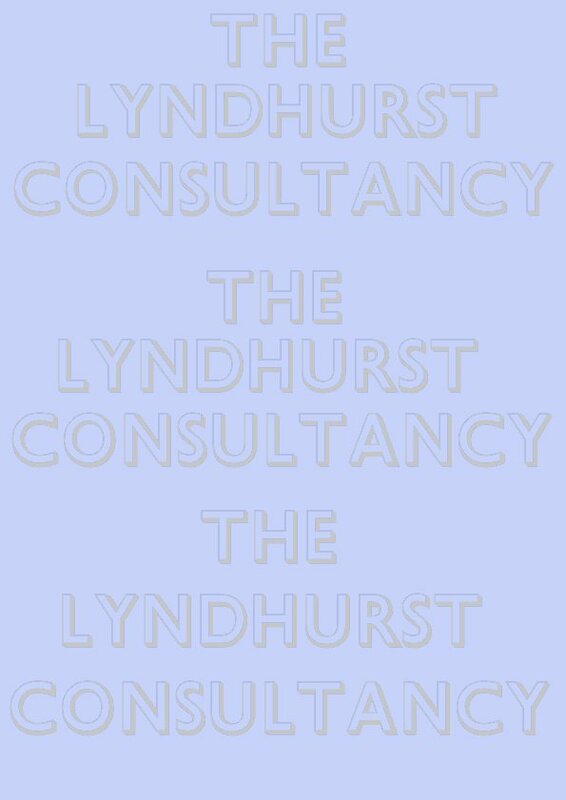 employ a specialist consultant to ensure all aspects are covered. SK9 5AF Tel 01625 545742.